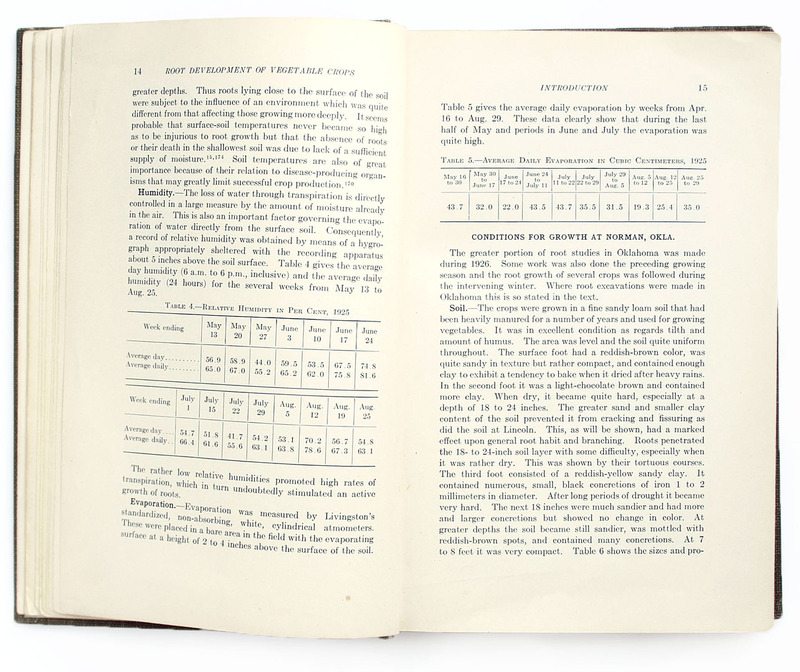 This project makes an old book attractive and accessible again. It is intended as a contribution to sustainability and and open education. 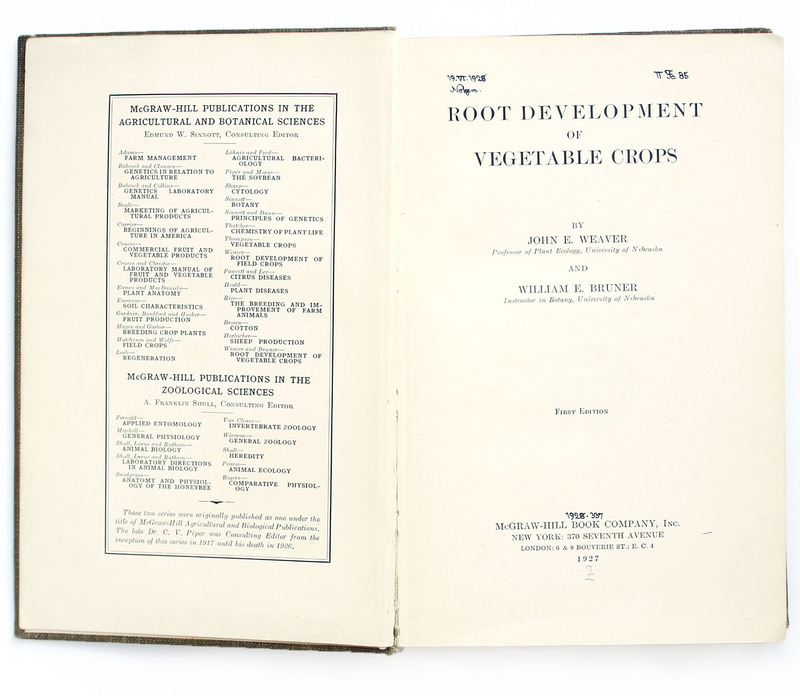 “Root Development of Vegetable Crops” was first published in the United States in 1927 and is in the public domain by now. For this academic work, two scientists planted various crops on specially prepared fields. They later lavishly excavated them and illustrated the root growth. ”Open Roots” reworks the book into a website in order to make it available to many people. During the design process, special attention was paid to readability, interaction and orientation. I tried to find customized solutions for a better reading experience on a screen. In order to make the data more accessible, tables with test readings were turned into interactive infographics and some of the static illustrations were digitized and animated. What you are reading right now is a prototypical version of these efforts. If you have problems, try updating your browser. Unfortunately the version for small screens and touch devices is not quite usable yet. It's just like a regular website with some extra features. It should be easy to navigate. You can scroll like you always do, or use an enhanced scolling function that always puts the active paragraph right at the top of the screen. Hover over the left side of the text or press the right arrow key, to open a handy overview over the current chapter. Use it to navigate and check where you are in the text. To see the chapter-menu use the Esc key or click the -button on the top right. Inside the menu you can also use the arrow keys to browse through the chapters. And there's more. Nearly all functions are accessible through the keyboard. For example you can use the return key enlarge the illustrations when they are active. Play around and tell me if you miss a something. These days no website is doable without the work of countless open-sorcerers. It's incredible how many people I should thank. So I just name a few. The Soil And Health Library is wonderful project for books about agriculture and health that are openly available or out of print. Some other great places to find books in the public domain are Project Gutenberg, the Internet Archive, the Open Library and the Hathi Trust. Daniel Leitner and Andrea Schnepf created a ingenious piece of software for Matlab that can analise images of root systems and understand the structure. I used their Root System Analyser to parse the illustrations. Without projects like Wikipedia and Wikibooks I probably wouldn't believe in the internet as a useful thing. Go Wikimedia Foundation. CSS-Tricks has high quality articles about modern web developement. Stackoverflow has all the answers, really. The Greensock Animation Platform is not open source, but it's free and it's the best. Terry Mun replicated the lightbox effect used by Medium and made it available as a jQuery plugin. jVectorMap has a great Pan and Zoom functionality for SVGs. Ralph Ammer was the supervising Professor on this. Lucky for me he writes, designs and codes his own book at the moment and knows the pains.